Search and You Will Find? Last month Forbes published an article entitled, “How Much Do We Really Know About Google’s Ranking Algorithm?” The author concluded that we really don’t have much direct knowledge about the algorithm and voiced his opinion that Google should have a right to keep the inner workings of its algorithm secret for two primary reasons. First, it is proprietary to Google and releasing the information publicly (i.e., full transparency) would significantly reduce Google’s competitive advantage – an advantage they achieved through billions of dollars in investment and considerable time and effort. Secondly, if the details of the algorithm were publicly known, it would become much easier to game the algorithm and manipulate website rankings, to the detriment of the public. Of course, none of this is particularly helpful to a practice trying to rank well on Google. If Google’s algorithm is such a big secret, how can you possibly get your website to rank well in Google’s search results? More to the point, is Search Engine Optimization (SEO) really achievable? Thankfully, the answer is yes. Fortune 500 companies — and really, companies in every industry — spend billions on it each year. However, what isn’t possible is to automate SEO. Why? Because the untold number of search variables Google uses are interdependent and non-linear. As if this weren’t complicated enough, the search variables are not applied to individual websites in a vacuum. Instead, also factored in is how these variables are applied to the myriad of other websites in competition. And, when any change occurs, the process starts all over again. In other words, it simply isn’t possible to do A, B & C and expect to get the same result every time. For healthcare websites, it’s even more critical that the SEO Company has specialty-specific expertise. Consumers researching healthcare often include in their searches, procedure or product names as well as slang terms, so your SEO Company must have knowledge of what and how your target audience is searching and what will convince the search engines to choose your website over all the others. With all of this in mind, it’s ludicrous to think that simply setting up a website, while ignoring or automating SEO, will take care of rankings. So why is it that some digital marketing companies make precisely these claims? These marketing companies either lack any meaningful understanding of SEO or don’t want to admit that they are incapable of executing it. Either scenario spells disaster for their clients! It’s clear that properly executed SEO requires considerable skill and experience. Improved rankings and traffic, and hence improved revenue generation, doesn’t happen by accident or by doing something as simple as using a WordPress or Squarespace SEO plug-in, or some other so-called “automated” system. 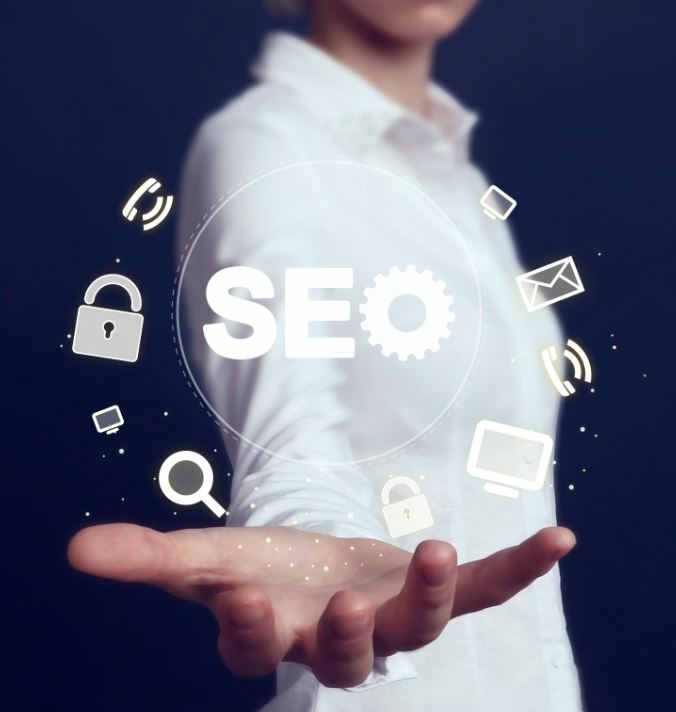 According to the article in Forbes, since the intricacies of SEO remain a secret, determining which SEO actions should be carried out can only be ascertained through Experience, Intuition and Titration. What Does This Mean for Your Practice or Business? Acquiring the proper knowledge requires at least two years of experience updating websites and digital footprints, and then measuring the results to see what worked, when and why. Extensive knowledge of and experience with Google Analytics and Google Webmaster Tools must also be required of your SEO company, because the only true way to measure SEO success is through analysis of the data provided by these tools. An understanding of site code is also a big plus, because many of the off-the-shelf template website platforms have coding issues that conflict with proper SEO. The code can inadvertently block Google from analyzing the website, and cause a host of other problems, such as slow load speeds, duplicate pages and low-quality pages. Therefore, your SEO team must have working knowledge of how to identify and diagnose coding issues. And of course, a good SEO company should also have experience managing “off-site” SEO factors, such as reviews and links. In summary, successful SEO requires extensive expertise and analytical ability, but that isn’t enough. It also is vital that your SEO Company understand how your patients or clients make buying decisions online and what key word search terms they use. This industry-specific knowledge is critical in scenarios where the buying process and decisions occur over a longer time period, such as in elective healthcare. Below are some of the most important questions you can ask a digital marketing agency about their SEO expertise, experience and activities. We have also provided some tips for what to look for in their responses. Q: How many years has the team performed SEO? Someone on the team that will directly touch your account should have at least 2-3 years of SEO experience with similar clients in competitive markets. Q: Can you provide 4 or 5 examples of rankings and traffic for clients that have benefited from your company’s SEO services? Make sure the firm provides pre- and post-ranking and traffic reports for a number of clients. Not just 1 or 2. Q: Will the SEO team analyze my Google Analytics and Webmaster Tools data manually and on a regular basis? If so, how often? These data should be reviewed manually at least once a month. Q: Will your team manage important off-site SEO factors, such as Google MyBusiness, reviews, links and social media? The SEO company needs to touch all aspects of your online footprint in order to maximize the SEO strategy rankings and traffic. GoogleMyBusiness, reviews management, links and social media are key components that must be touched regularly. Q: How often will the SEO team evaluate the site code to analyze crawl errors or indexing issues? The site index should be examined once a month manually to look for any clues to coding issues that would conflict with SEO. At Ceatus, we offer best-in-class SEO services. SEO senior managers have more than 10 years of experience in elective health care, as well as numerous other industries. Individual SEO specialists, i.e. those assigned responsibility for specific clients, are required to pass a number of tests, including data analysis for Google Analytics and Google Webmaster Tools, before taking on their own clients. And, the SEO team undergoes regular weekly training sessions in order to share information and ensure that knowledge and experience, including site coding issues, are at the highest level. If you would like to learn more about Ceatus’ SEO strategies, please contact us. Google Doesn’t Rank Doctors, It Ranks Websites! This month’s tip of the month is a true story. At the most recent ASCRS meeting in Washington DC, we spoke with a very busy practice consultant who works with prominent practices across the country, and this is her story. On a recent flight she was sitting next to a lawyer (Millennial, male). As they were chatting, the subject of LASIK came up. She works with or knows all of the top LASIK surgeons in the U.S. The lawyer mentioned that he had been thinking about it, and since the practice consultant knows all of the top surgeons, he asked if she had any recommendations in the DC area. Of course she did and recommended the most prominent LASIK surgeon in DC. When they landed, he opened his phone and looked up the recommendation online. One look at this world-renowned surgeon’s website was enough to turn him off: “I’m not going to him, his website S@#$%”. Wow! What a statement. This is the new reality. No matter how high the quality of your service, how much great marketing you do or how many people are referred to you through word-of-mouth, prospective patients judge you by the quality of your online presence. Period. Q: I have been told by a reviews company that increasing my Google reviews will directly improve my rankings on Google and that I can use a reviews system for my SEO strategy. Is this true? A: Yes and No. Google evaluates a number of factors when making ranking decisions. The number, “recency” (recentness) and quality of reviews are all taken into consideration, but reviews themselves are just one minor factor in Google’s equation. Simply increasing your number of reviews will not boost your rankings. However, if all of the proper SEO activities are in place and ongoing, then increasing reviews can have an additional synergistic effect to move you up in the Google rankings. The bottom line is that, while a good reviews strategy is critical for patient conversion, you cannot use reviews as your SEO strategy. Meet us in New York, New York for the American Society for Aesthetic Plastic Surgery’s 51st Annual Meeting. Stop by booth 804 for a FREE Online Reputation Analysis. CEATUS CEO David Evans, PhD, will also be giving a presentation on how to leverage your reviews for increased practice revenue. A thoughtfully designed website has the power to expand your reach and build your online brand while increasing the likelihood that patients will contact you and recommend you to their friends. Your website is the window into your practice! 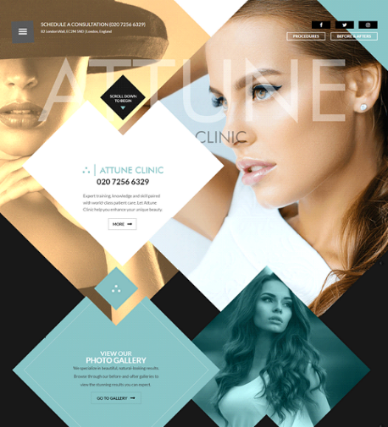 We have carefully developed a unique design process that allows us to capture your vision in an effective and efficient way so that you can focus on your practice while we create your unique website. At Ceatus, we understand that your website design must represent your practice. We stay ahead of the curve, providing the most modern of designs while keeping in mind functionality, user-friendliness and, of course, conversion. A personalized approach focusing on your vision, ideas, and goals whether it’s for our fully customized Elite Website designs, a streamlined custom website or a more modest facelift to an existing website. Easy and direct contact with your experienced Design team, which includes your personal dedicated Client Services Specialist for Web Design. Thorough, one-on-one consultations for the planning, implementation and launch of your new site. 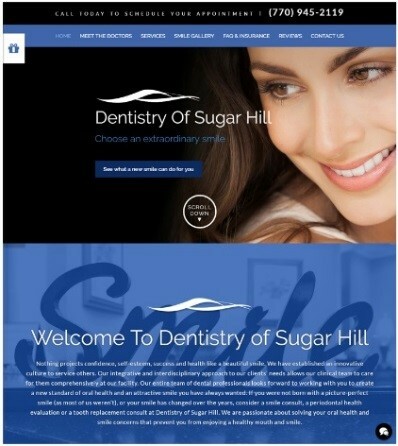 Our experienced programmers, webmasters, SEO experts, designers, and writers working together to ensure that your website reflects your vision and increases the number of patients visiting your office. Rest assured that we give your website the same care and attention you give your patients. Get your Free Website Evaluation and learn how you can transform your website strategy with CEATUS by calling us today at 858-454-5505 or emailing us at contactceatus@ceatus.com. MEMORABLE and functional. Movement and memorability are in the scroll. When scrolling down the page you will notice dramatic angles, smooth fades and wonderful, complimentary colors. You might wonder, with these sophisticated features, will my mobile-savvy clients see my site as we meant it to be seen? The answer of course is YES! We believe it is key to make a site with mobile responsiveness, so go ahead and take out your phone to check out this beautiful site! UNIQUE and influential. A wonderful drone-captured video of your city or town – What more could you ask for? Ceatus-designed websites can feature gorgeous views of your area for a more personalized image and an experience that captivates your patients and connects them to you, your practice and the community you serve. 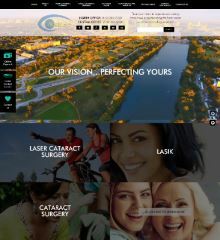 See more of our Unique Ophthalmology website designs here! DISTINGUISHED and educational. This is what you want your website to convey! Your expertise and position as an industry leader will be reflected in the design and feel of your CEATUS-designed website. We know your branding and imagery must be consistent across all media platforms, which is why we work directly with you to ensure that it is! Check out how we have helped industry leaders market their practice/business online. CLEAN, yet iconic. Your name, your practice, your services … and memorable smiles! 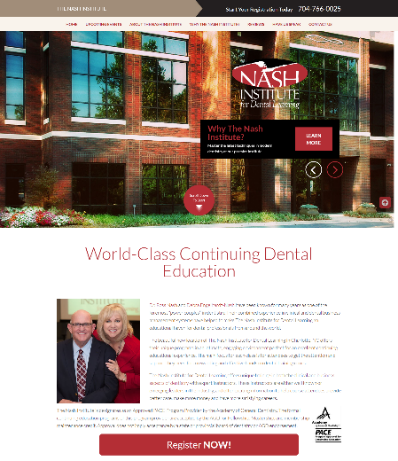 Our clear, crisp, clean design ensures that it’s not “just another site” while also allowing your procedures, practice and work to take center stage. Go ahead and take a tour of the easy-to-view layout, friendly for eyes of all ages. SLEEK with a dual purpose. We understand doctors don’t work in a single place at all times. Would you like to have a site for your personal practice as well as your specialty specific practice? No problem! We work with you to make sure your primary business site image and your specialty site coincide with each other, yet still have individuality. See for yourself here the harmony and uniqueness two sites can have. ELEGANT, but with an edge. Green is the new black! Complementary colors are always taken into account when designing a website. Do you have specials that update monthly? They can be featured on the front page with an RSVP function that can help build your contacts and patient volume with ease. CHIC with a modern appeal. Need a site now? 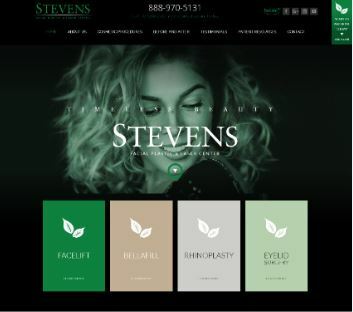 We have website design options that can be easily streamlined with call-out features and functions all the while achieving the elegance and uniqueness you are looking for. It’s never been easier to have a good-looking website. Keep it modern, keep it simple, keep it responsive!